I have worked with a range of clients from all manner of backgrounds with a broad range of fitness and abilities over the years and understand that no two clients are the same – listening and focusing on my clients personal goals is the key to their success – I help them by educating, empowering and supporting them through their personal health, fitness and nutritional journey using a wide variety of training techniques. Hi my name is Simon and I am lead Personal Trainer and Managing Director of Prime Time Fitness. 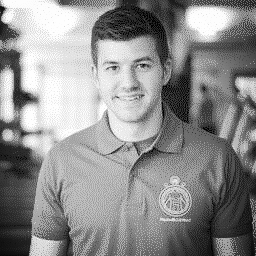 I have over 13 years experience as a personal trainer and am trained to the highest professional standard with the government approved Register of Exercise Professionals, I specialise in the management of a range of medical conditions with specialities in Obesity and Diabetes Management, Weight Management, Chronic Lower Back Pain, Postural Correction and Working with Older Adults. 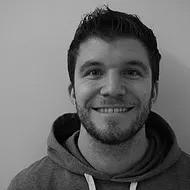 Hi my name is Joe and I am both a Pt at Level 3 and a Sports Massage Therapist at Level 3 and I am a transformation specialist. I take an all encompassing approach to fitness and use a variety of training methods to help my clients achieve their results in a fun way and I’m always wanting to learn new things to further this. I’m fully committed to achieving great results for my clients not just during their sessions but also to provide them with the support they need to achieve their goals outside of their sessions overcoming hurdles together which is why my clients get great results. 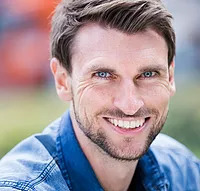 Hi my name is Matt and I have over 8 years’ experience working in the Fitness industry, and like most gym instructors, have developed a wide knowledge on a variety of training techniques. It’s been important to understand that even if a customer’s goal sounds just like everyone elses, they are in fact very different and you have to take into consideration their reasons behind each goal and the lifestyle they currently lead. Once you understand this and get to know each person on an individual basis you can better prescribe suitable changes to their workouts, nutrition and ultimately their overall wellbeing. More recently I have focused on Sports Conditioning which includes the development of an efficient running technique, as well as using Olympic Lifts to improve Sports Performance. I’m always keen to get the most out of a person and choose the right style of training to suit, so whether you need support and guidance in a group class environment, or want to learn how to use more functional pieces of equipment in the gym on your own, please do not hesitate to speak to me when you see me around the centre! Recognising that health and fitness is a lifestyle choice and one that offers a variety of challenges, my personal training is very much orientated around the whole experience. For me training the mind is just as important as training the body. As a result I am now embarking on a coaching course based around motivation, mindset management and neuro Linguistic Programming. I love working collaboratively with people and building a positive and supportive training environment. I believe investing in your health and fitness will pay dividends in all walks of life. Our lifestyles today are often busy and demanding and often exercise and diet are the first elements to go. No matter what your circumstances are, I am confident in being able to help you take the necessary steps to improve your overall wellness. Whether you are new to exercise or feel uninspired in your current regime and need new motivation, feel free to come and have a chat as I’d love to help. © 2019 Prime Time Fitness. All rights reserved.